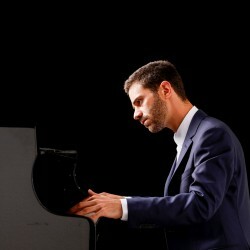 Adam Laloum received an international recognition by winning 1st Prize at the prestigious Clara Haskil Piano Competition. He then joined the class of Evgeni Koroliov in Hamburg who is himself 1st Prize Clara Haskil 1977. Adam has the opportunity to perform in concerto with the Orchestre de Paris under Cornelius Meister, Belgium National Orchestra, Deutsches Sinfonieorchester under Nicholas Colon at the Berlin Philharmonie, Mariinsky Orchestra under Valery Gergiev, Orchestre Philharmonique de Radio France under Sir Roger Norrington, Verbier Festival Orchestra under Charles Dutoit, Orchestre du Capitole de Toulouse under Maxim Emelyanychev, Orchestre Philharmonique de Monte Carlo under Alain Altinoglu, Orchestre National de Bordeaux under Jaime Martin, Orchestre National de Lyon under Gabor Takacs-Nagy, Orchestre de la Suisse Romande under Jonathan Nott, Lüzerner Sinfonieorchester under James Gaffigan. 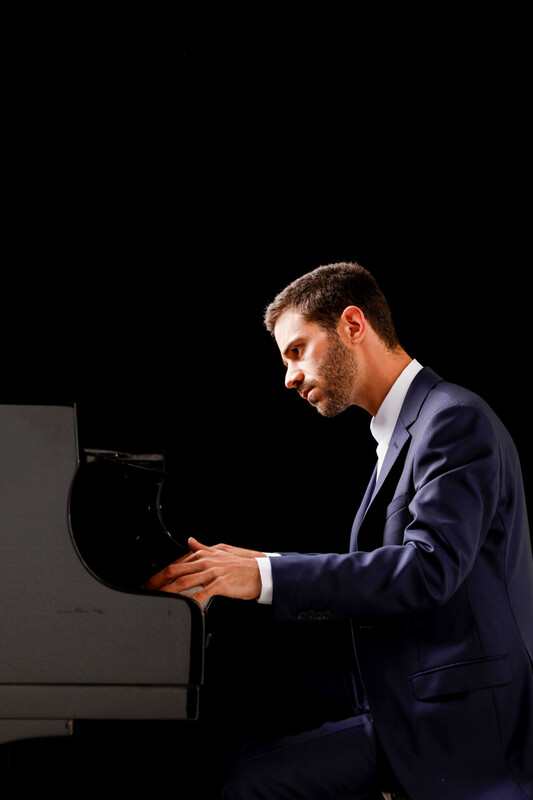 Born in 1987, Adam starts the piano at the age of 10 and makes his musical studies at the Toulouse Conservatory, before starting at the Paris National Conservatoire in 2002 in the class of Michel Béroff. During his scholarship, Adam met and attended master classes of such personalities as Dmitri Bashkirov or Paul Badura-Skoda. He received his Diploma in June 2006 and continued at the Lyon CNSM. A very fine and passionate chamber music partner Adam Laloum founded a piano trio – Trio les Esprits – with the cellist Victor Julien-Laferrière and the violinist Mi-sa Yang. Their next recording will be released for Sony Music Worldwide and will be dedicated to Schubert. After a first CD with Brahms works (Mirare), Adam’s Schumann recording (Mirare) received a Diapason d’or of the Year, ffff by Télérama, the Grand Prix de l’Académie Charles Cros and 5 stars by Fono Forum in Germany. His chamber music recording (Brahms both clarinet Sonatas and Trio with clarinet) with clarinettist Raphaël Sévère and cellist Victor Julien-Laferrière also received a Diapason d’or and ffff in Télérama. Adam Laloum signed an exclusive contract with Sony Music Worldwide. His first recording for Sony was released in 2018 and includes the Two Brahms piano Concertos with the Rundfunk Sinfonieorchester Berlin under Kazuki Yamada. 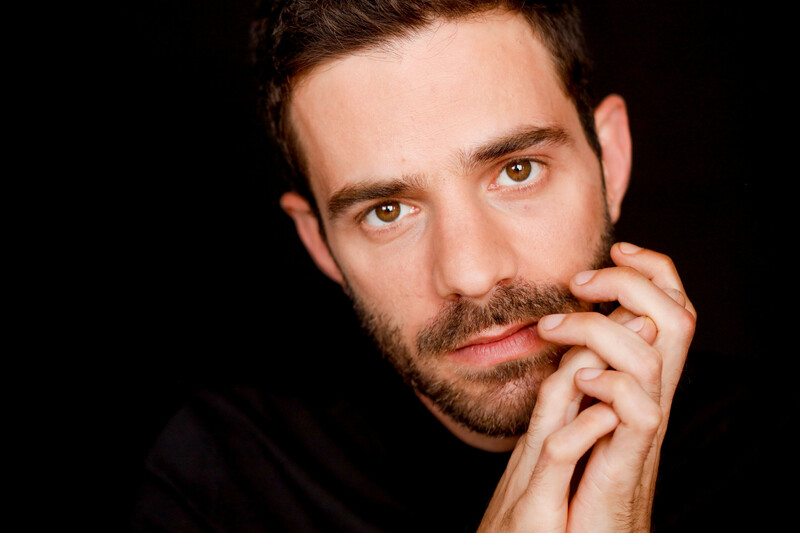 Adam is the artistic director of the festival “Les Pages Musicales de Lagrasse” since 2015, a festival dedicated to the chamber music repertoire. Adam Laloum - Schumann : Davidsbündlertänze, Op.6 - Adam Laloum, Recital at the Verbier Festival 2010 Crédit : © Idéale Audience / MUSEEC.